The concepts and technical designs behind the FIDO protocol were written and introduced by Nok Nok Labs’ founders in 2011 to address the usability, interoperability and security risks associated with the username-password scheme as a form of authentication. Nok Nok founded the FIDO Alliance in 2013 with a hand-selected group of like-minded companies and contributed the core technical specifications and key ideas that are at the heart of the FIDO Alliance today. We remain a guiding hand for the alliance as a board member, author of multiple FIDO specifications and co-chair the security & certification working groups. We are proud, most recently, to have been co-authors with Google, Microsoft, PayPal and others of the latest FIDO specifications called the FIDO2 Project. Alongside the existing FIDO standards that reach over 3B+ users, the arrival of the FIDO2 project promises to kick off a new era of internet security. The standards combine security with ease of use for end-users, developers and IT with broad reach across every major computing platform and use case. Our work has the support the majority of the computer and phone industry from hardware to operating system and by major financial institutions and well as regulators and standards bodies. The FIDO Alliance provides a forum for creating open standards specifications, providing certification and interoperability and security certifications for commercial implementations of the standards. Nok Nok provides an Authentication Platform for use cases across Cloud, Mobile & IoT and have developed a deep and nuanced understanding of adapting the FIDO and FIDO2 specifications to achieve a variety of business goals ranging from improvement of customer experience to greater security & assurance. Today, the Nok Nok™ S3 Authentication Suite is the most widely deployed FIDO-based platform, and we offer the FIDO Jump Start Program for customers wanting to deploy a proof of concept quickly and assess benefits of mobile biometrics and modern authentication platform across multiple relying party applications on the web, mobile, customer service and other channels. Production - Internet-scale deployment and monetization based on customer preference for on-premise or cloud-based solutions. Disruptive Innovation - Joint evaluation of innovation in the areas of emerging trends such as IoT, Blockchain, Omni-channel authentication, Digitization and more. As a founding board member of FIDO Alliance, Nok Nok is working closely to define current and future standards, our team of experts, has full visibility on the future of authentication and are involved in working closely with other industry groups like GSMA Mobile Connect, NIST, EMVCo, etc. Since the founding, our team has been evangelizing with Fortune 500 organizations globally on how they leverage next-generation authentication for digital transformation, accelerate time to market digital services and support evolving customer journeys. You can expect an expert team of FIDO evangelists, executives, architects, security experts and a developer support team committed to the success of your project. Nok Nok’s team of FIDO experts will inform your long-term strategy and ensure the success of current projects. The team’s focus is to help you realize your vision for the project. Demonstrate benefits of transforming customer experience with any of the biometric authenticators, improve security posture with un-phishable authentication, reduce the cost of interoperability with an existing identity, risk and relying on party applications. 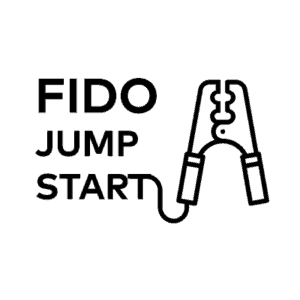 FIDO Jumpstart program is designed to deliver a fully operational FIDO-compliant mobile application and a relying party application server in your testing environment. Execution: Support execution by aligning tasks and activities across stakeholders including a cross-functional team of Business Leaders, Product Owners, Developers, Architects, IT Security, Network Operations, etc. Contact us for a no-obligation consultation on leveraging FIDO standard as part of authentication strategy for your business and more.